Will synchronized global dance/meditation live streams soon surpass the Superbowl for global viewership? On December 21, 2012, 20 million people worldwide turned in to watch a global simultaneous broadcast of every Solstice ceremony via WorldUnity2012, Unify.org, Shift Network and Birth2012. There’s a huge missed opportunity for sponsors and international brands to leverage this growing movement of global synchronized events for visibility. Photo: Jeff Eichen. 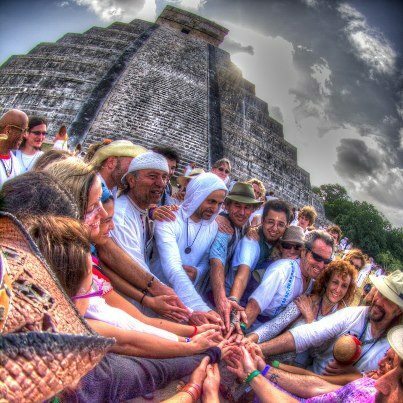 On December 21, 2012, I had the opportunity to help coordinate one of the largest global synchronized moments in history — millions of people participating in a candlelight ceremony at dawn (5:11 am UT) to celebrate the Winter Solstice and the end of the Mayan Calendar. We succeeded in getting more than 20 million people to watch a live streaming video broadcast for 72 hours continuously for three days. It’s quite possible that these global events, streamed over the Internet and self organized by volunteers will soon surpass those numbers. It’s an enormous, overlooked opportunity for global brands to capture the attention of the Millennials, a fickle group that doesn’t watch TV anymore. When have we ever had the technology to simultaneously watch the sunrise at ever sacred site in the planet before? This was that moment when it shifted. – 7.4 million people watch Oprah. – Only 8.5 million people watched NBC Nightly News and 21 million people watched 60 Minutes in 2010 — network news has been on a gradual decline for years and these numbers are sinking. – 40.2 million watched the Academy Awards in 2011 — a number that is also in decline. – 113 million people in the US watched the Superbowl in 2012 — which was most watched television event in American history. 3.1 viewers saw a television PR campaign I participated in for Hewlett Packard in 1992 for the launch of their first wireless palmtop device — which was then thought to be an incredible number. This involved an astronomical budget, multiple PR agencies, a press conference at the Rainbow Room and professional b-roll. It’s quite possible that these global events, streamed over the Internet and self organized by volunteers will soon surpass the SuperBowl. It’s an enormous, overlooked opportunity for global brands to capture the attention of the Millennials, a fickle group that doesn’t own a TV anymore–let alone watch one. Synchronized Internet meditations and dance flash mobs like this are becoming more and more common. Recently, a group called One Billion Rising had an impressive turnout for Dance flash mobs on Valentines Day 2013 — so we can expect this trend to continue to amplify. The One Billion Rising Dance Flash Mob on Valentine’s Day, 2013. While a few generous individuals contributed money to sponsor the December 21 broadcast, including a technology company that supplied some of the sattelite uplink equipment, the December 21 live stream was produced on a shoestring budget by global marketing campaign standards. The outreach happened by word of mouth over the social networks and enthusiastic volunteers, including a group backed by Hollywood veteran Michael Short, called BeThePeace, which is composed of volunteer industry professionals who have experience with events like the Superbowl and the Academy Awards. It was also assisted by World Unity 2012, Synthesis, Birth2012 and Unify.org, a group of savvy young social marketing branding experts and web developers in San Francisco. who have been creating unified events such as MedMob. Dozens of PR teams and social marketing teams from all of the festivals collaboratively promoted the December 21 event with their Fan pages and email lists encouraging viral sharing. Celebrities such as Ashton Kutcher, Beyonce, Russell Simmons used their huge Twitter and Facebook networks to Tweet about #Unify and the events taking place worldwide. The next global event will be Earth Day on April 20, 2013. The Earth Day festivals, which have been taking place globally for 40 years, now attract a global attendance of 1 billion people in 196 countries. That’s 1/7 of the planet! 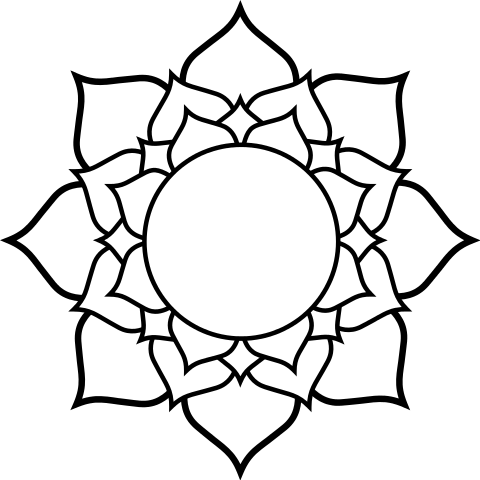 While not everyone at every EarthDay will be coaxed into dancing and doing yoga — the potential for large numbers are extraordinary. It’s important for brands to recognized that dance, yoga or meditation flash mobs leveraged for advertising must be authentic — the Millennials can see right through hype and do not like to be “marketed” to. And Millennials want to associate themselves with brands that matter. 20 MILLION PEOPLE WATCHED A CANDLE CEREMONY? The success of the December 21, 2012 broadcast surprised us. I remember standing in Chichen Itza in the modest room where a team of about 10 extremely hard working volunteers (who barely slept during the weekend) running the show on a few monitors and laptops and struggling with the bandwidth issues in Mexico, managed the epicenter of the broadcast. We were thinking, well, maybe 20 thousand people are watching. When we heard the numbers – 20 MILLION? We were astonished. 20 million people watching a candle ceremony? This is proof that simple, genuine, spiritual and unifying events can draw more viewers than sports, news or Hollywood blockbuster films. This broadcast was live streamed on multiple websites, including Barbara Marx Hubbard‘s Birth 2012, The Shift Network, Unify.org and WorldUnity2012.com, simultaneously. Websites and social media outreach connected these ceremonies at festivals all over the world. 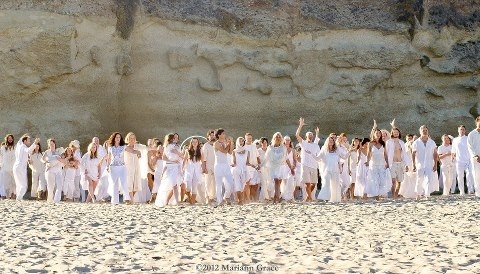 Viewers participated in a synchronized candle ceremony at sunrise — starting at The Uplift Festival at Ayers Rock in Australia, and moving across the planet in waves of synchronized meditation ceremonies, to events in Maui, HI, the Synthesis 2012 festival in Chichen Itza, Mexico, the Stonehenge festival in England, Newgrange monument for the Ireland 2012 festival in Ireland, the Pyramids of Giza in Egypt for a festival produced by the Do Lab of Los Angeles, then Jerusalem and Mt. Fuji in Japan. 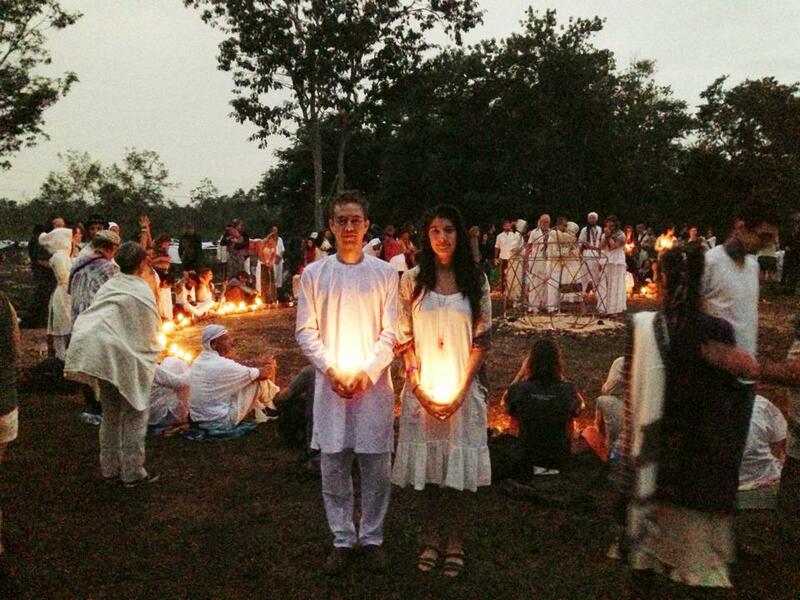 A simple candle ceremony at sunrise on December 21, 2012 attracted more than 20 million Internet viewers and participants at dozens of festivals worldwide and captured by many International network news broadcasts. People tell me they left their computers running for 72 continuous hours watching the live stream while they did their chores. They had viewing parties, they were glued to it. They said it was transformational and deeply moving. Synchronized Internet meditations and friendly dance flash mobs are becoming more and more common. We can expect this trend to continue to amplify and draw ever greater numbers, offering a tremendous potential for sustainable brands and global technology companies to sponsor these events for unprecedented global visibility at a fraction of the cost of traditional network television advertising. 3 mega pixel web cam and 4 USB ports so there is plenty of room for wireless gaming devices. Indeed, battery life may end up being the main draw of the AMD A-Series in high-end systems.